Torchcraft does operate normal business hours, however if you're planning a visit, please contact me ahead of time and I'll be sure to meet you there. 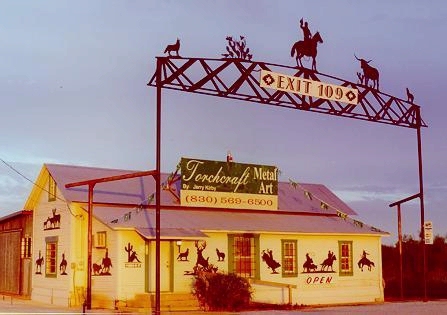 Torchcraft Metal Art is located just 30 miles south of San Antonio, TX on IH 37. Exit 109 from IH 37 and Torchcraft is located on the north bound access road next to the Dodge dealership.